Google Photos has become a very convenient way to back up all your photos... all of them. Even all the receipts, addresses, and other junk. Google recently added archiving to get that stuff out of the main timeline, but now it's going a step further by suggesting photos to archive. It sounds like the feature we spotted in a recent APK Teardown. The suggestions will appear as a card in the Assistant tab inside Photos. 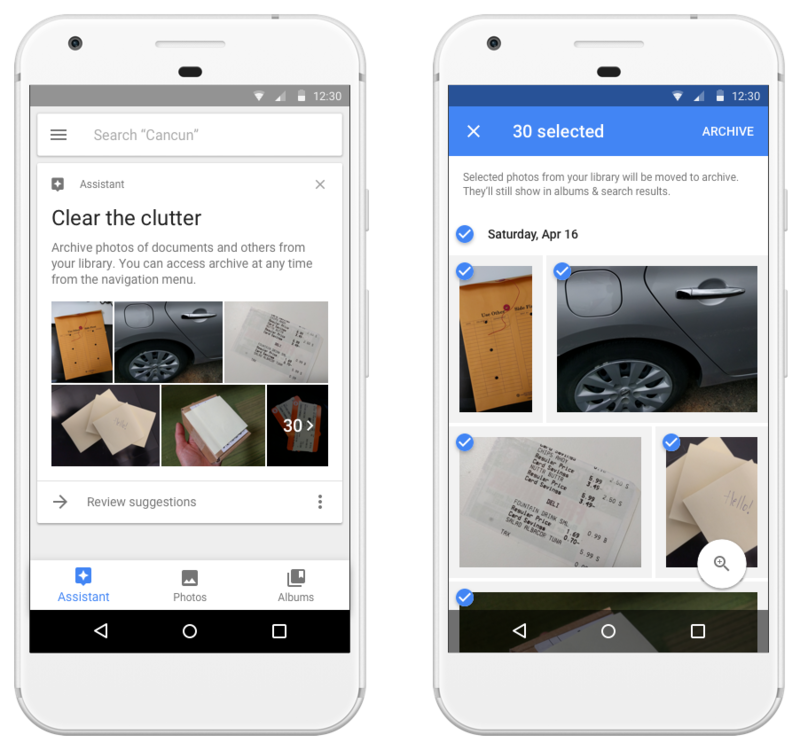 Google will use its machine learning magic to figure out what's in the photo, marking potentially unimportant ones for archiving. You then have the chance to evaluate the selections before proceeding, so you won't accidentally sweep up any important pics. Archiving in Google Photos is a bit different than archiving in other Google products. All the images you archive will remain in albums and search results. They're just more out of the way. This feature is still rolling out, so give it time. Manual archiving is already available, though.